Advocacy can be defined as the practical use of knowledge for purposes of social changes, drawing attention to an important issue and directing decision-makers to a solution. Advocacy can mean many different things, from engaging in the government decision-making process to motivating and mobilizing the community. OHL engages in advocacy at multiple levels, from local to statewide to national and even internationally. These advocacy avenues are important to ensure that OHL's services, programs, and populations receive the attention and care that they deserve. As such, OHL establishes meaningful partnerships with local, state and federal agencies, national and international groups, and key stakeholders relevant to, and consistent with, OHL’s interests. 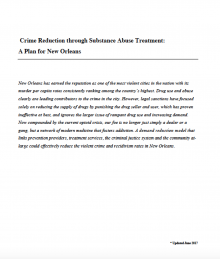 Locally, OHL works numerous officials and stakeholders such as judges, the mayor and his staff, members of the city council, Metropolitan Human Services District leadership and others to advance interests relevant to addiction treatment services in the city of New Orleans. Additionally, OHL has drafted a Crime Reduction Through Substance Abuse Treatment plan (found in the sidebar) that is uniquely tailored for the needs of our city amid this crippling opioid crisis. On a state level, OHL can be seen on the front lines advocating for funding from the state for treatment services, on behalf of legislative proposals that are beneficial to OHL’s mission and in opposition to bills that seek to do harm to those suffering from addiction in our state. We have worked with the governor and his staff, Cabinet officials, members of our area legislative delegation and across the state to pass legislation geared toward: preventing individuals from becoming addicted to opioids; curtailing the spread of viral hepatitis and HIV through needle exchange programs; and requiring prescribers to check the Prescription Monitoring Program database before any and all opioid prescriptions. 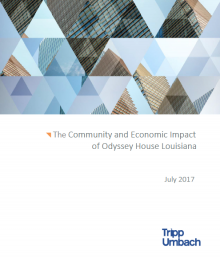 Additionally, because OHL believes that strength lies in numbers and our mission is better spread through advocacy, our CEO, Ed Carlson, is the Secretary of the Coalition of Louisiana Addiction Service & Prevention Providers (CLASPP), Louisiana's association of treatment and prevention providers with a mission of enhancing prevention and addiction recovery services in Louisiana through education, awareness, and advocacy. OHL’s advocacy efforts don’t stop at the local and state level. OHL actively works to improve access and retention to quality substance abuse treatment nationally and globally. We have met with dozens of key lawmakers, White House and Cabinet officials and others to discuss and bring attention to issues that matter to treating addiction and advancing recovery. To that effect, our CEO, Ed Carlson, is a leader in substance abuse treatment nationally and internationally, serving as the 1st Vice President of Treatment Communities of America (TCA) and Chairman of the Committee on Governance and Organizational Issues for the World Federation of Therapeutic Communities (WFTC), which are national and global associations of treatment providers, respectively. 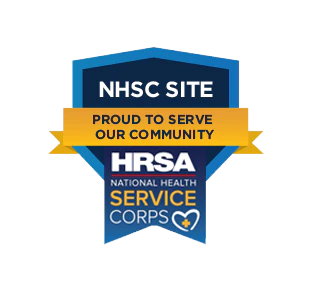 In addition, OHL advocates on behalf of its federally qualified health center as a member of the Louisiana Primary Care Association (LPCA) and the National Association of Community Health Centers (NACHC) to advance policy matters related to primary care for our clients.